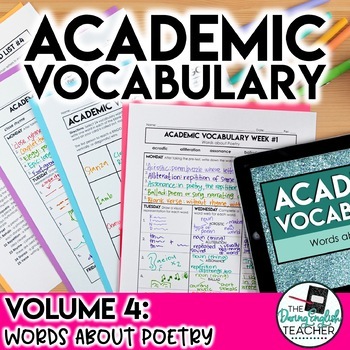 Poetry Vocabulary Unit: This academic vocabulary unit is designed to help your secondary ELA students succeed in class and on standardized tests. 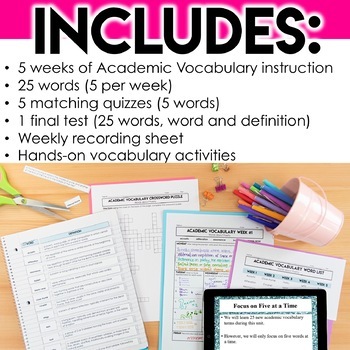 This unit includes 25 academic vocabulary words relating to poetry and is aligned to the common core standards. 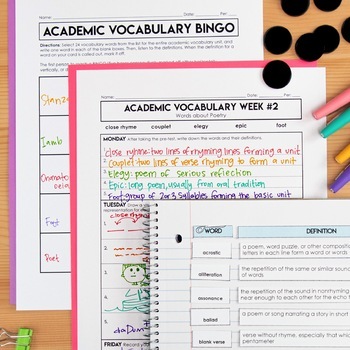 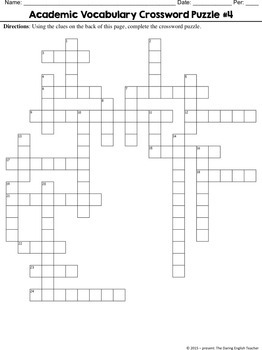 Download the free preview to see all 25 words!